It’s your life, in your own words. 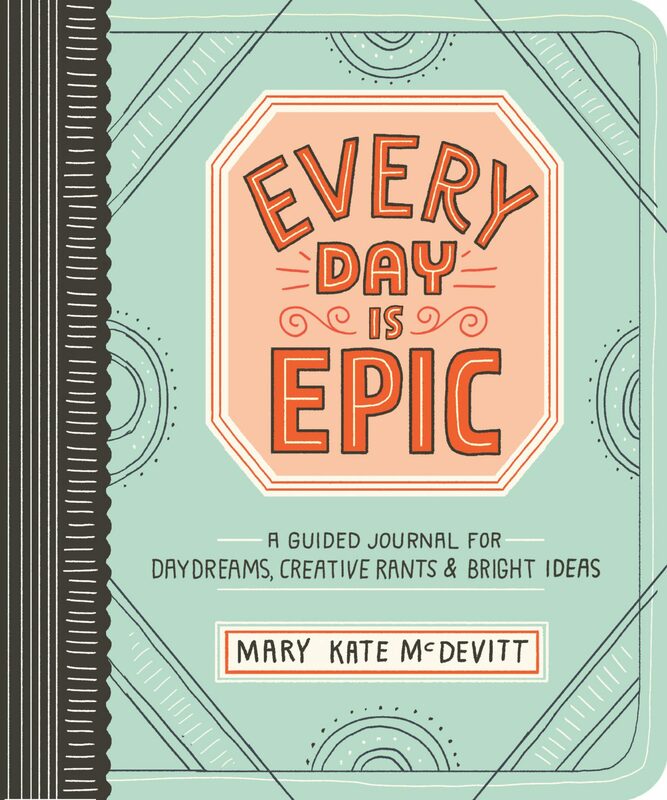 In this one-year guided journal from artist Mary Kate McDevitt, every entry sparks creativity and self-reflection with inspiring prompts, upbeat affirmations, and interactive doodles. Chronicle big plans and budding ideas. Jot down daydreams or forecast your mood. Rate the day’s accomplishments: major, minor, or meh? With quirky humor and vibrant illustrations, every page is a celebration of the adventures, discoveries, and joys that make your life uniquely epic. Mary Kate McDevitt, a letterer and illustrator based in Philadelphia, finds inspiration in making up motivational phrases for herself. She hand-lettered the very phrases that she used to inspire herself to start an online shop, promote her work, and get stuff done. She is the author of Hand-Lettering Ledger.